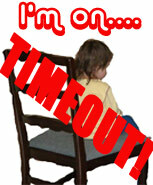 5 DAY TIMEOUT FOR ALBERTO. SOMEONE ALLOW HIM BACK ON 1-21-08 or when he is done acting like one of those 7 year olds from Jesus Camp, whichever comes first. I don't understand how you people can't see how pathetic your arguments are. Even if evolution was true, which it isn't. It doesn't prove atheism. But evolution is not true. You have been indoctrinated/brainwashed. Evolution is SO last millenium. Say what you will, Dawkins is a total chicken. As I said, you can't be helped because sin has damaged your mind. In order to attract grace from God, you have to learn humility. Untill you do this, he will never infuse your mind. Its interesting that you say some of you are former "religious." "Now the Spirit speaks expressely, that in the latter times some shall depart from the faith...." (1Tim.4:1). This is supposed to happen just before the appearance of Antichrist. My signature is stupid like you know who. I wanted to clarify that atheism is a passion/sickness of the soul. It is not an intellectual thing. Thoughts start in the heart. The heart has to be purified to some extent by the Holy Spirit. Talk to God. Tell Him your frustrations. You do that and watch what happens. You are not any worst then any of us Kelly. We are all sinners but God is extremely merciful. I'm pleased you read the Bible. Don't ever think you are too bad or sinful for God to forgive you. Your concept of the blasphmey of the Holy spirit is wrong. This sin is not commited by denying the existence of the Holy spirit. It is commited when a person persists throughout their life in denying Christ. You still have a change. I meant: You still have a chance. I believe you will return to faith of some sort in the future. I think you are honest and good of heart. And atheism is NOT reasonable. Read-up. I've read about 50% of those books. How many atheist books have you read? I've read the bible multiple times, I've read the entire New Evidence that Demands a Verdict, I've read most of Strobel's nonsense, I've read Comfort, Zacharias, Craig, Geisler...do I need to continue? This is a warning...one more post full of your insulting blathering with nothing to back it up will result in an asshat avatar. Keep it up and you're on the fast track to being banned. Atheism is not an intellectual issue. It is a spiritual condition. No amount of evidence and argumentation will ever convince a person unless God illumines their mind. Sin drives God from the mind. But we are all sinners. God has to chose YOU first. "No man can come unto me, unless the Father which has sent me draw him" (John 6:44). I don't believe you read 50% of those books. But I'm glad you read some stuff. It shows you are open to hear the other side. Read "The Baker Encyclopedia of Christian Apologetics," by Norman Geisler. It deals with and refutes all the arguments against theism and Christianity. And then you posted 4 minutes later? Liar. Forced timeout for 5 days. Sit in the corner and come back when you're ready to be a good little boy.